The lucky winner will have the best photo showcasing their volunteer experience. On November 22, we will announce the winner. As an added bonus for the winning participant, we’ll donate $500 to the local non-profit you chose. We’re so excited about the opportunity to help our wonderful community. Thank you in advance to all of our volunteers, and thank you to our participating nonprofits! Don’t worry if you don’t win the jackpot! There are more chances for you to win a gift card! 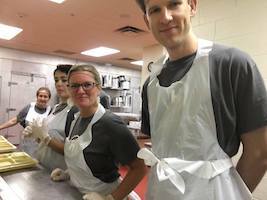 The first 100 people (limited to 10 people per non-profit) to post a picture of themselves volunteering while wearing one of our Higgins Firm shirts (free for the asking until we run out) will receive a $10 Amazon gift card. 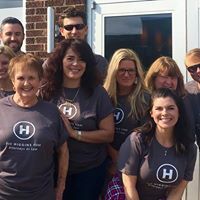 To participate, pick up your free Higgins Firm t-shirt and when you are volunteering, take a photo and send it to info@higginsfirm.com with your name and phone number in addition to posting the photo on Facebook using the hashtag #higginsgiveandget. We only have 100, so act fast! When the gift cards run out, that contest is over.